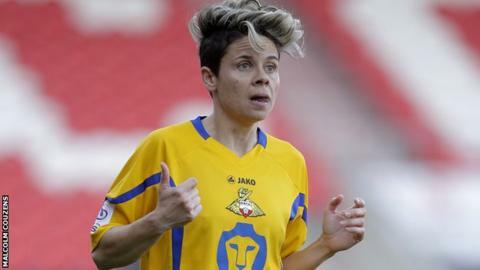 Doncaster Rovers Belles winger Sue Smith has signed a new contract with the Women's Super League One side. Smith, who scored 16 goals in 93 appearances for England, joined Doncaster in 2011 from Lincoln Ladies. The 36-year-old was the joint top-scorer for the Belles with 12 goals as they won promotion last season. "There's no reason why we can't compete with the best teams in this league and we showed we can against various teams last season," she said. "With the professional aspect we've been able to add to the Belles for this season, we can definitely compete with the teams up there."